In keeping with the general theme of this blog as a SF/F platform, I’m going to strictly limit movie reviews and comments. However, Ender’s Game being a major influence on me as a kid in me in book form, I think the movie deserves some attention as well. First off, let me clear the air of the standard line: I am ignoring Orson Scott Card’s politics, religion, etc. It has little bearing on the movie, less, especially, because of the ‘boycott’ which punished cast and crew of the movie for someone else’s politics. OSC got his paycheck before the movie ever went live. But I digress. The movie, first off, was surprisingly good. Why do I say surprisingly? Well, I’ve a very low opinion of most movies based off of books I liked. By and large, big movie magnates go for little more than name recognition and then morph the story into rather generic/homogeneous crap. There are exceptions, and there have been a growing number in recent years. However, by and large, I don’t approach a movie with much optimism about the book. 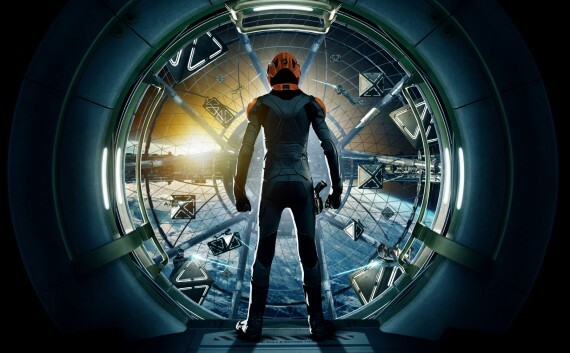 Ender’s Game, as movie, I found interesting, engaging, and they managed to include a great deal of the book without making the movie feel crowded. The movie engaged the audience with some of the moral dilemmas from the book, but allowed them to enjoy the action sequences without guilt over the choices made by the characters. The action sequences were energetic and the emotional turmoil was there in enough amounts to feel sympathy for the characters without forcing the audience to wallow in angst. Were there things that they could have done better? Absolutely, but you can say that about many movies. I could argue that the mind game had only a few seconds of movie time but took up a much more significant part of the book. Still, with those few seconds, they managed to establish Ender’s character and also to build the links to the end of the movie. The side characters didn’t have much screen time, and there wasn’t much time spent building up Ender as a leader and strategist, we mostly hear about it from everyone else. This worked, but it might have worked better as a montage or mileu. Still, I think the characterization of Ender and the essential characters was established enough to form sympathetic bonds and to encourage the viewers to want to learn more (and hopefully go out and buy the books). There were a few plot jumps and additions, and they glossed over the lack of FTL (besides communication), and outright changed it a little bit to make other things work. Still, I think the changes were more from a technical standpoint of allowing for a more dramatic turn around and as a way to avoid the seventeen endings of the Return of the King movie (I loved them all, but it did get a little ridiculous, just saying). As a book, Ender’s Game gave me a desire to serve and defend my nation, made me fall in love with space, and delivered to me the knowledge that empathy can be just as cruel a weapon as anything. As a movie, I think Ender’s Game does a good job of capturing the imagination of the next generation and appealing to a wider audience, and maybe bringing some of them into reading science fiction. Those are both important things, in my opinion. We need people to look to the stars and wonder what lies out there. After all, as Ender’s Game showed, other beings might be wondering the same thing.